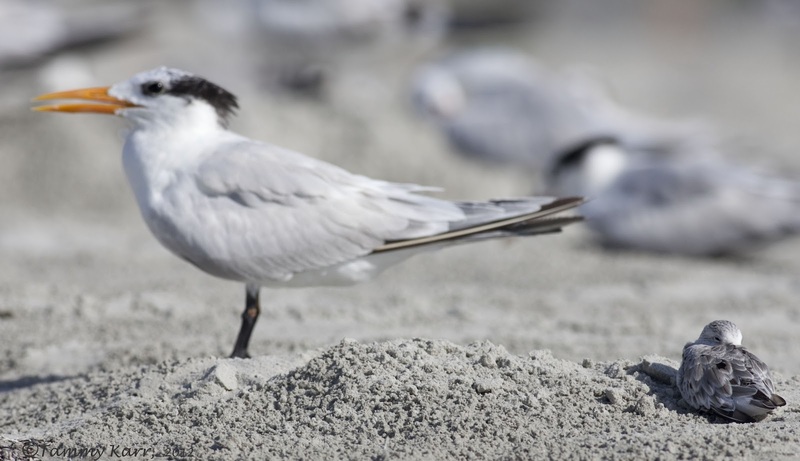 While at the beach in Cape Canaveral this past weekend, I came across a few peeps. This poor little one looked like it was as disgusted by the trash as I was. 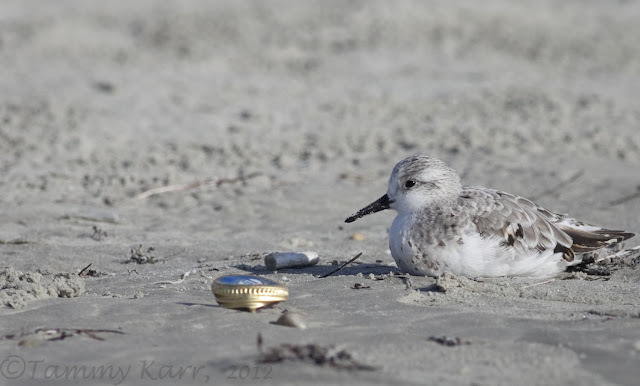 There were about ten Sanderlings, some in breeding colors, scattered in with the terns. 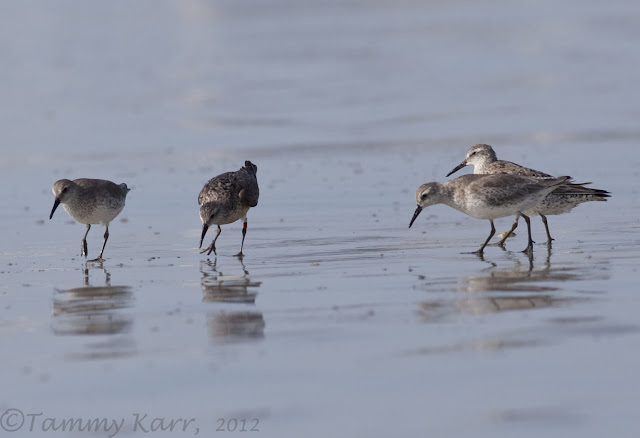 There was also this group of four larger shorebirds, which maybe nonbreeding Red Knots, Knot sure though, keeping to themselves. One was banded with a red flag. 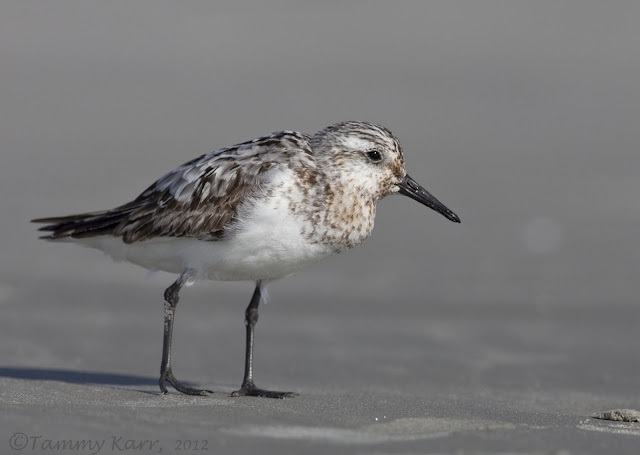 This little Sanderling was having some bill envy! This is a sweet post Tammy, both in terms of its coolness and regarding those tender lil' Peeps pipping around. I love that last shot. the 4th photo is just gorgeous! love that reflection! the skimmer is just too dang funny looking! and that little one at the end is too cute. I still can't get over that bill!! That is huge. 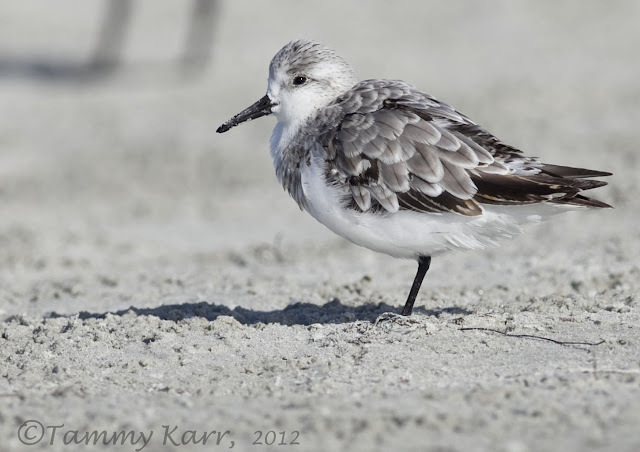 I wish I could help out but the simple fact is that this category birds is one of the hardest for me to identify. But you certainly did get some amazing shots! everytime it's a pleasure to see this good work. 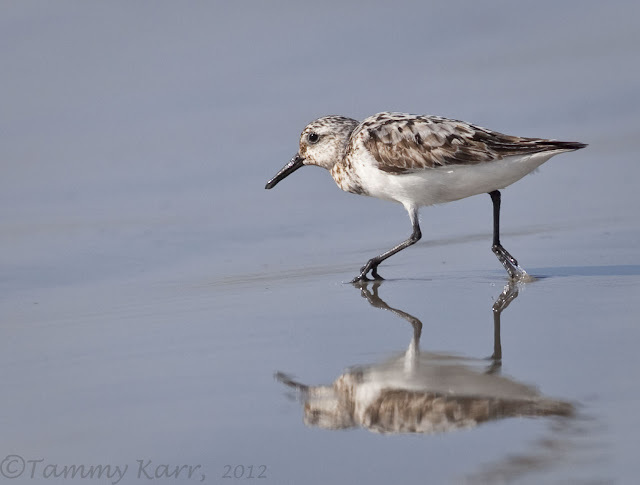 I love the Sandpipers, what ever they are called. Your pictures are superb. Great photos Tammy, they are as always perfect. I love the seventh picture totally awesome. Beautiful shots, great work as always, Tammy! Very nice photos Tammy! 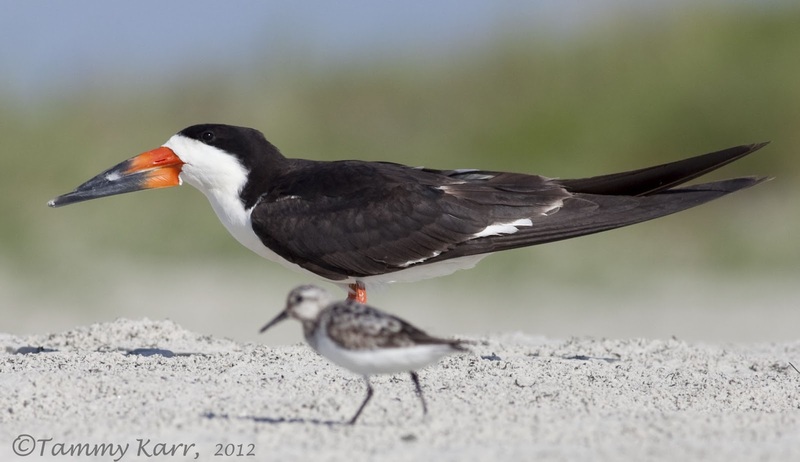 Love the contrast between birds on the Skimmer/Peep photo! I think the Knot are Knot, or maybe Knot! Not sure about the peeps, you have just got too many over your side of the pond! Gorgeous shots, Tammy! Love the backgrounds and the reflection is fantastic! Nice catch lights, too. You are amazing with the camera in your hand. Another stunning serie and you have som many beautiful birds! Hola amiga, espectaculares fotos, una serie bien trabajada, te felicito. It looks like you're still laying on the ground to get these shots. I really like the forth shot with the reflection. Amazing shots as always Tammy and your sense of humour is wonderful. In some of the shots, the one with the bill envy for example, the smaller bird almost appears to be a mirage, great effect! Hola Tammy bellas imagenes de estos limicolas.Un fuerte abrazo. I just discovered your blog, wonderful!, That good photos. I love #4 with the reflection on the shore. They are all nice! Tammy, I'm fairly sure the top two images are Sanderlings and believe the next two are as well (they may be going out of breeding plumage) because of the leg color and shape of the bill. Thank you Mia! I thought they seemed smaller than other Sanderlings I'd seen (and the coloring of breeding plumage ones, which I don't usually see here, caused further confusion). 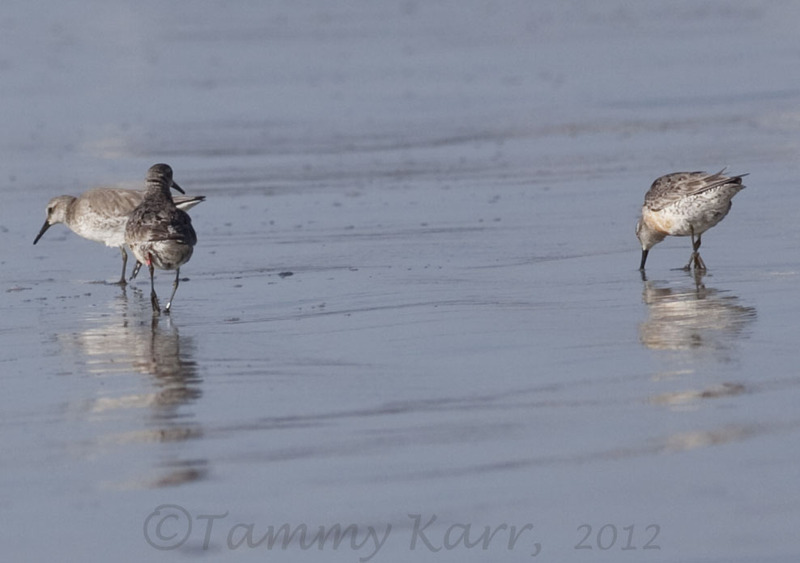 I'm guessing maybe the first two are first year Sanderlings? Thank you for your help Mia, and your comments. I appreciate it! Shorebirds are so confusing, esp. this time of year. Your photos are beautiful! One could almost reach right out and touch them through your imagery! !